In today tutorial i shown you how to delete google plus account.Google plus is google new social networking website those who have gmail account also have one google plus account , some people didn’t like google plus and want to delete there account so today i will show you how to delete google plus account permanently. In this tutorial you can also look at the other service and features of google plus too like downloading your google plus profile and image and other things but today we will only focus on deleting google plus account So without wasting time let see how to remove google plus account. 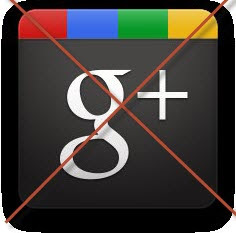 To delete your google plus account go to your google plus account page.Click to below button to go to your account page.If required login then do that. Now in once you login to your google account page then click on the Account and scroll down the page below there you will see a option to delete your google profile and other service associated with your google account.See below image. So as per in the above image click on Delete profile and remove associated google + features a new page will open see below image. In this page read carefully all the instruction and choose correct option as per your need .that it i hope you will like my this post you can also look at my other posts , if you like my post please do share and comment if you have any query.